Set the scene. 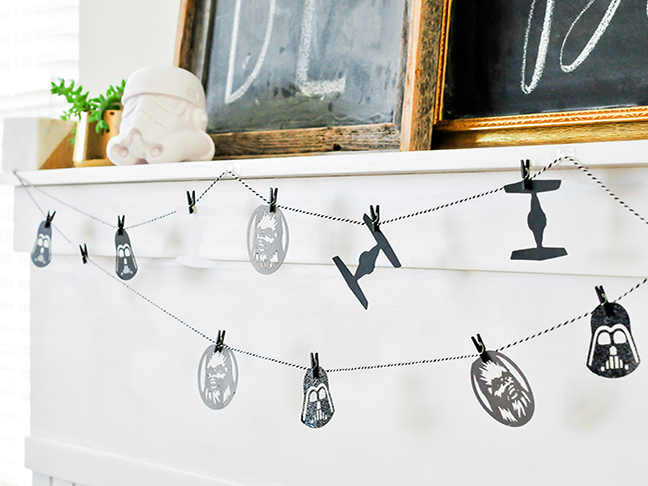 Create a paper garland of your favorite Star Wars characters and shapes. I chose to cut mine from a mix of black, white, grey, and glittery cardstock. A glittered Darth Vader can do no wrong. String the characters on some black and white twine, and then attach them with mini clothespins. Create cozy seating. Round up a few of your most comfy pillows to set the mood before the movie starts. Search online for an image of Darth Vader (like this one) and either print out or hand-draw on freezer paper. 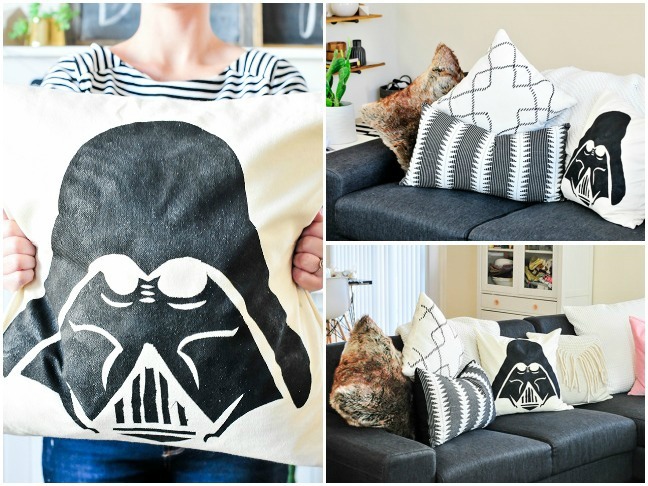 Cut out the negative space and use as a stencil to paint on a large, plain throw pillow. We used black glitter paint to dress Darth up a bit. 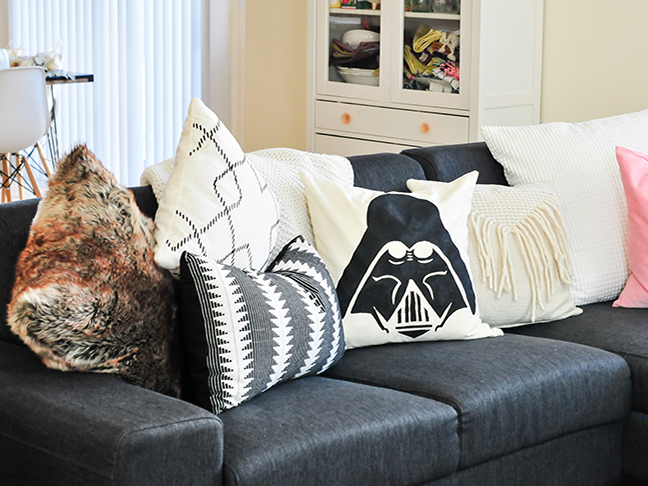 Fur pillows and throw blankets add a Chewbacca-inspired twist. 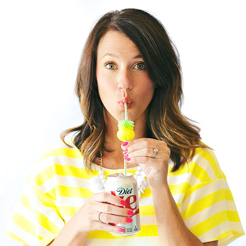 Dress up your drinks. 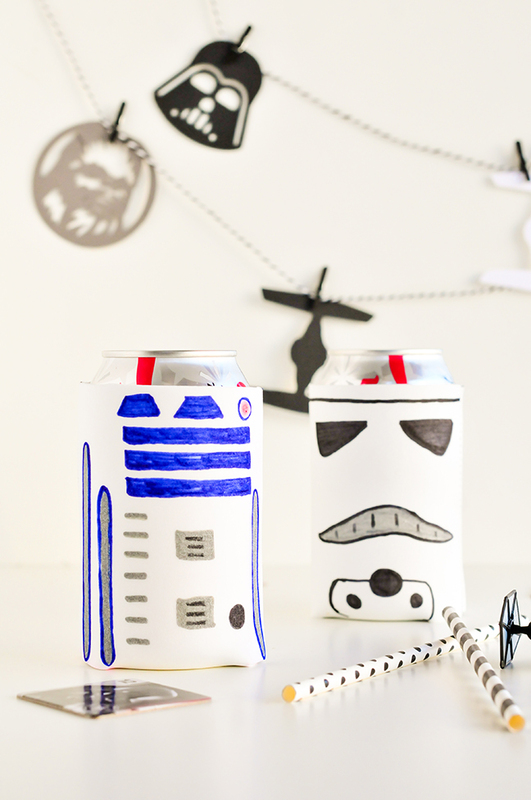 Wrap cans of juice or soda in Star Wars koozies made from craft foam (found at craft stores in the school supply section). Cut out a piece of foam (template here!) and stitch the sides together with a sewing machine. Add your favorite characters with colored markers. 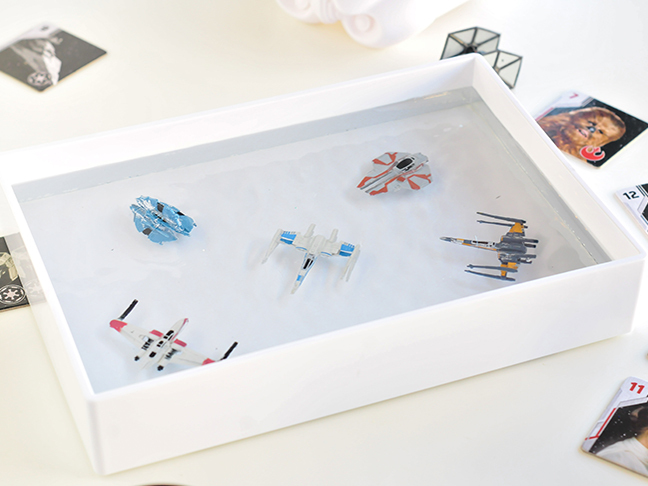 Keep guests happy with galactic sweets. 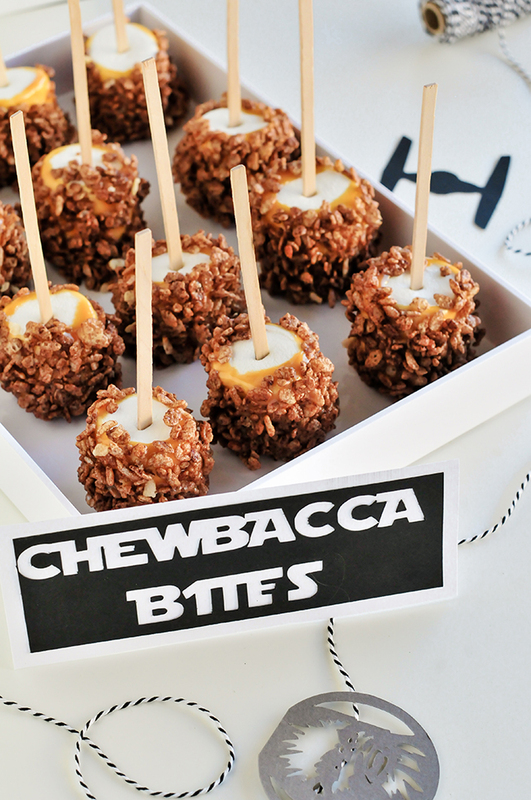 These “Chewbacca Bites” are a tasty treat. To make, dip marshmallows in melted caramel and roll in Cocoa Krispies. Place them on wax paper until the caramel sets (about one minute!). Jazz up a classic movie snack. 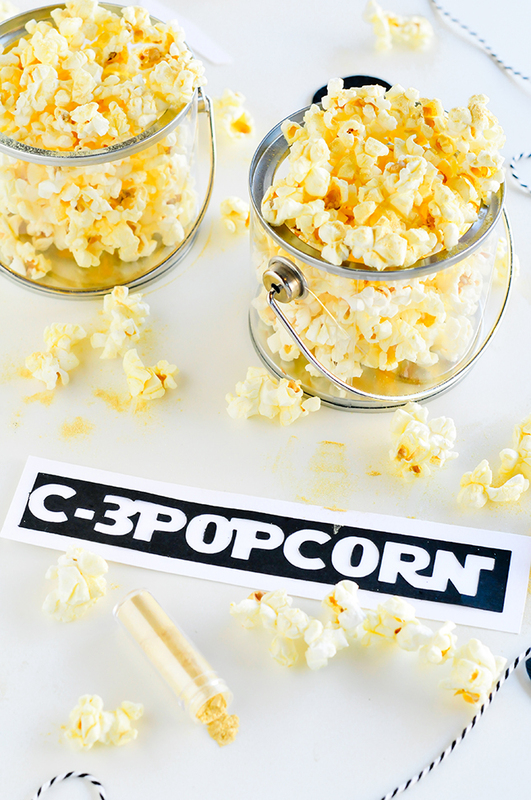 No movie night is complete without popcorn — but this variation pays homage to C-3PO. To create, sprinkle popcorn with edible disco dust (found at the craft store). It will make your popcorn sparkle without changing the flavor. Bonus points for serving up individual portions in miniature plastic paint cans .